The cashless society and digital India is just to allow the big capitalists loot and plunder the common man. THE report submitted in December 2016 by the committee on digital payments, headed by the former finance secretary Ratan Watal draws lessons from the recent studies conducted by Earnest & Young, Mastercard and Visa. The appointment of the eleven-member committee was notified in August 2016 only. But within such a short period, the committee could bring out its recommendations, as it had just to cut and paste from the earlier said reports, tasks being made easier by the predecessors. Visa had undertaken a study,"Growth of digital payments in India – a five year outlook" and the same was published in October 2016, just ahead of the November 8 demonetisation. It assessed that India's net cost of cash is 1.7 percent of GDP in 2014-15 and suggests that the cost could and should be drastically reduced. The study says that if the cost is reduced to 1.3 percent by the year 2025, an amount of Rs 4 lakh crore could be saved. Visa is so confident that as and when currency printing is reduced, those companies involved in digital transactions would reap the benefits. Watal Committee report, if implemented (all likelihoods are there for that), would change the very concept of banking business. It defines banking as the business of giving assured returns to deposits and lending, and payment as a business of transferring money. The committee agrees that traditionally, banks perform both banking and payments. But that has to be changed. Payments should be taken out from the regulations of RBl and a new regulatory mechanism by the name, Payment Regulatory Board, has to be evolved. The structure of that body also is explained in unequivocal terms, that though the governor of the RBl could act as the chairman of that regulatory Board, the representation of the central bank should never become a majority. 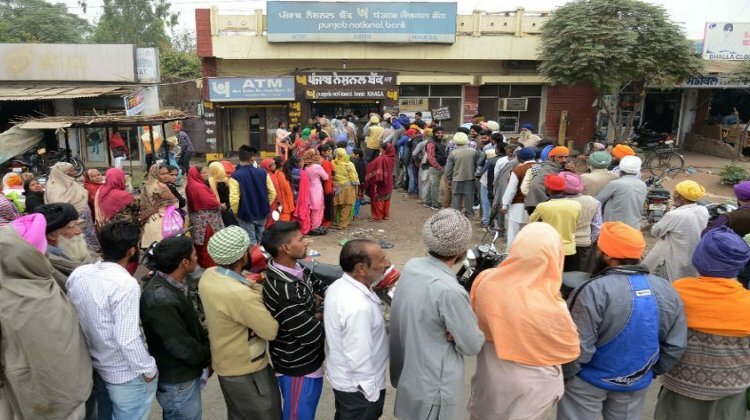 This artificial bifurcation of payments and banking was objected by a member of the committee, HR Khan, who was the deputy governor of the Reserve Bank of India. His dissent note forms part of the report! Payment services hitherto done by banks are recommended to be opened up for non-banking firms also, so that the fintech companies can serve their customers at the cost of commercial banks. The committee had no hesitation to suggest that RTGS and NEFT facilities should be opened up for Jio and the like. Another very important shift from the existing practice, recommended by Wadal Committee is that the ownership of the National Payment Corporation of India should be" diversified". As of now, NPCI is owned by 10 banks ie, SBI, PNB, Canara Bank, BoB, Union Bank of India, Bank of India, ICICI, HDFC Bank, City Bank, HSBC each having stake of 7.47 percent, making it 74.7 percent of the capital, Dena Bank, Central Bank of India, Allahabad Bank and other 16 banks each with 1.6 percent, making a total of 20.14 percent and another 10 banks each with 0.42 percent, making another 4.2 percent and some co-op banks and few Gramin banks put together 17 in number, with 0.5 percent stake have 0.85 percent. What is intended of diversification is that the new fintech companies also should be given a slice of the bread. A bill that was enacted in the year 2007 by the name Payment and Settlement Systems Act 2007 is suggested to be updated by a new bill by name Payment and Settlement Systems Act 2017.This is so as to remove the so-called anomaly inherent in it, clarified by the committee as "access to payment system by new non bank PSPs like fintech firms have been unduly restricted. Most of them can access payment systems only through the banks, which are also their competitors" in the industry. In the name of providing level playing field, the committee wants to provide undue support to the new fintech companies at the cost of banking system. No doubt, the tall claims on the cashless society and digital India is just to allow the big capitalists loot and plunder the common man. The tall claims of prevention of black money, fake notes and terrorism have proved to be nonsensical slogans raised so as to emotionally hijack the patriotic elements. The real aim behind the demonetisation is getting exposed. The declaration of the finance minister that all the currency withdrawn would not be replaced is an assurance made openly to the new fintech companies that their interests would be safe guarded. The recommendations of the Ratan Watal committee is an eye opener to those sections of people who are still under the illusion about the public pronouncement on November 8, that it was to curb black money, prevent fake notes and to stop terrorism that the new exercise is being carried out. It is high time that the pernicious effects of the Ratan Watal Committee report be propagated among the masses. Congress MP Kapil Sibal has highlighted a sting operation suggesting that demonetisation was a massive money-laundering scandal.